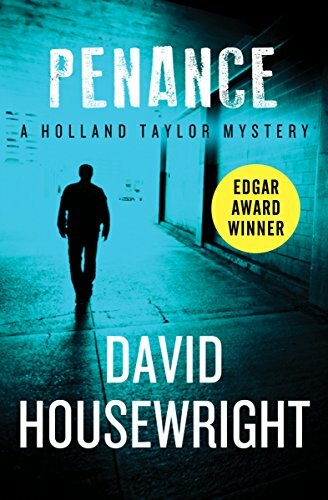 I’m not sure why author David Housewright decided to resurrect his Holland Taylor detective series after turning his attention to a much longer series with another character. But so he did, just this year, six years after the previous installment. I liked Darkness, Sing Me a Song, though I was a little annoyed by the addition of politics to a series that had been pretty evenhanded up to now. Things have changed since Dearly Departed (reviewed below). Minneapolis detective Holland Taylor has broken up with his girlfriend, and is instead seeing a married woman, off and on. He moved out of his house, into an apartment. He now has a partner in his private investigations business. His work is mostly dull, and he’s not complaining. But one of his best clients, a high-powered law firm, asks him to help with the legal defense of Eleanor Barrington, one of the richest women in the state. She is accused of shooting her son’s fiancée, Emily Denys, to death. She denies guilt, though she does not hide her contempt for the young woman. Investigation reveals that Emily Denys did not exist – her identity was false. Trying to trace her true name leads Taylor to a small Wisconsin town, where feelings are running high on both sides of the (fracking-related) sand mining business. Taylor will also uncover very dark secrets about the Barrington family. There’s a “surprise” twist near the end, which didn’t surprise me at all, nor do I think it will surprise many seasoned mystery readers. However – it must be noted – it’s not the surprise itself but the original twist author Taylor puts on the surprise that makes the book work in the end. And it does work. 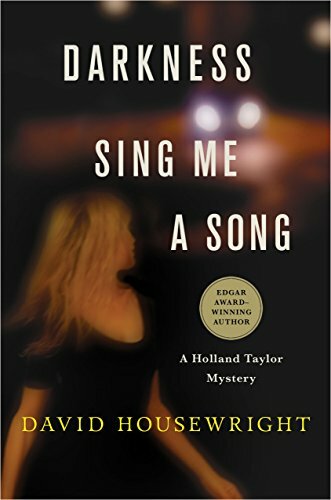 I enjoyed Darkness, Sing Me a Song, but not quite as much as the previous books. Recommended, with cautions for language and mature themes. Oh yeah, at one point he says that the city of Shakopee is southeast of the Twin Cities. It’s actually northwest. Weird. I put the older man at sixty. Hard. You could roller skate on him. The saga of Holland Taylor, Twin Cities PI, continues with Dearly Departed. I like the way author David Housewright puts fresh spins on old plot themes. Dearly Departed, a story in the tradition of the movie “Laura,” was my favorite in the series so far. Hunter Truman is the sleaziest of ambulance-chasing lawyers, a man unesteemed even in his own profession. He sued Holland Taylor once. And yet here he is, asking to hire Taylor to look for a missing woman. Taylor wants nothing to do with him – until he looks at the fascinating photograph of Alison Emerton. Truman plays him a tape Alison left behind, in which she states that if anyone hears this, she will be dead, and her ex-boss is the killer. Alison has disappeared without a trace. All her possessions are still in her house. She must be dead, but Truman’s clients want to know exactly what happened to her. Against his better judgment, drawn by the visceral appeal of the photograph and the voice, Taylor agrees to look for her. His hunt will take him to a resort town where residents are at each other’s throats over the question of a new Indian casino. There’s a plot twist that isn’t much of a surprise, but that just sets the stage for further surprises. Dearly Departed drew me in and kept me fascinated. I enjoyed the characters and was fascinated by the mystery. I appreciated the examination of men’s perceptions of women, realistic and delusional. Cautions for language and mature situations. Recommended. I felt about as big as a period at the end of a sentence. 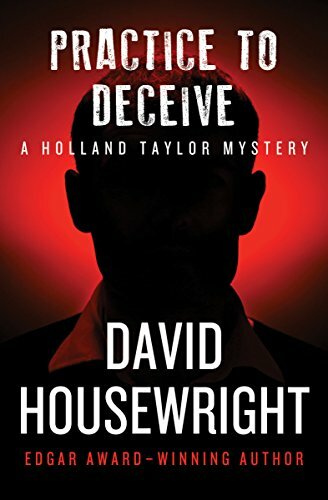 The second book in the highly enjoyable Holland Taylor series by David Housewright is Practice to Deceive. I liked it as much as the first book. When Taylor’s parents invite him to visit them in Florida, they have an ulterior motive (their relationship is awkward). His father introduces him to Mrs. Gustafson, a friend who’s been swindled out of all her money by a slick Minnesota investment counselor. Can Taylor do anything to help her get it back? At first he resists. It’s not his kind of case; he doesn’t understand these matters. But when his father explains exactly what the investment counselor did – getting her power of attorney, then investing her funds in a risky real estate project after she’d suffered a stroke and was expected to die – he’s outraged and agrees to look into it. Since the counselor has technically not broken the law, Taylor decides to take a more high school approach to the problem – harassing him, hacking his online accounts, working juvenile practical jokes. And it almost works – until somebody kills the counselor and steals the money he was going to pay Mrs. Gustafson back with. Suddenly the game is deadly serious, and Taylor’s own life is on the line. Great fun. Although there’s plenty of traditional detective stuff, Housewright can take very unconventional approaches to his plots, turning old situations fresh. Cautions for language and mature situations, including some fairly creepy scenes involving a transvestite. And some hard-boiled irony. All in all, it’s a great time to be a private investigator: Nobody trusts anybody. Sometimes – rarely, of course – I surprise myself with my ignorance. Discovering a “new” detective author whom I would rate on the level of John Sandford and (before he went full PC) Robert B. Parker was a surprise. Finding out he’s a local (Minneapolis) author amazed me. But so it is. 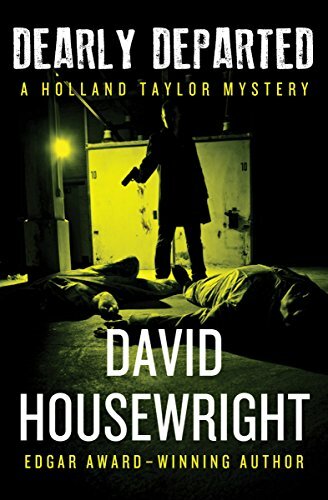 David Housewright is a very good hard-boiled writer, and I’m enjoying his Holland Taylor series a lot. At the opening of Penance we find former police detective, now private eye, Holland Taylor in an interrogation room, being grilled by two policemen. He was surprised to be arrested, but not surprised when he learned the reason. The drunken driver who killed Taylor’s wife and daughter, recently released from prison, has been murdered. Taylor is the obvious first suspect. As suddenly as he was arrested, Taylor finds himself released, and he returns to his current case, which involves a beautiful, dark horse, third-party gubernatorial candidate who is being blackmailed. Eventually he learns there’s a link between the first case and this one, and things get convoluted and deadly. In the end the revelations he unearths will be genuinely shocking. The plot’s more complex than it needs to be, with too many characters and plot lines. But the story gripped me and the narrator was fascinating. Widower detectives have gotten to be a trope (because the situation offers lots of scope for female companionship, and an excuse for not bonding), but author Housewright handles the trope well. I was hooked, and I’ve been scarfing these books up one after another. More reviews to come. The stories are a little dated, being written back in the 1990s (though a fourth in the series came out this year). The usual cautions for language and mature situations apply. The politics are hard to nail down – which is just fine by me.